Jan. 3, 2019 — Late last year, we covered the new Census Bureau report for the states gaining and losing population during the past 12-month period. Now, we see the agency’s latest just-released numbers for the decade through this past July. Armed with the new data, outside mathematicians have made apportionment projections to provide a more defined picture as to which states will be gaining or losing US House seats in the 2020 post-census reapportionment. With two years remaining in the present decade, trends can still change and we must remember that the reapportionment formula is complex, but the new projections give us a strong idea as to just how many seats, give or take a small variance, will transfer. At this point, according to the Washington, DC-based Election Data Services, it appears that as many as 22 seats could change location affecting 17 states. Texas, having gained 3.55 million people since the 2010 census, looks to be adding as many as three seats for the 2022 elections and beyond. This will give the Lone Star State 39 seats during the next decade, and 41 electoral votes in the succeeding presidential elections. Florida was the second largest gainer with just under 2.5 million new residents, meaning the Sunshine State will likely gain two seats, going from 27 to 29. In terms of raw numbers, California gained more than 2.3 million people, but it actually dropped a tenth of a point below the national growth average of 6.3 percent for the past eight years. This means the Golden State is currently on the hook to actually lose a district for the first time in history. Dec. 7, 2018 — New population growth numbers are now available from the Census Bureau, allowing us to gain more clues about how the coming 2020 post-census apportionment might look for the nation’s congressional districts. Every 10 years, states gain and lose CDs based upon their total population and percentage growth figures. The current US population of 327,774,453 represents a growth rate of 5.96 percent when compared to 2010. Currently, Idaho is the fastest growing state for 2018, with a gain of 2.15 percent for the current year, the only state to break the two percent barrier for the period. Nevada (1.96 percent), Utah (1.85 percent), Washington (1.69 percent), and Florida (1.56 percent) round out the top five. The group constituting the bottom half of the top 10 in 2018 growth contains Arizona (1.53 percent), Texas (1.41 percent), Colorado (1.37 percent), Oregon (1.37 percent), and South Carolina (1.28 percent). On the other hand, eight states, led by Wyoming (-0.97 percent), actually lost population during the year. The others are West Virginia, Illinois, Alaska, Hawaii, Mississippi, Louisiana, and North Dakota. Oct. 4, 2017 — The Opinion Savvy research firm went into the field to test the Alabama electorate immediately after last week’s special Republican run-off election, and found the winner of that special primary election, former state Supreme Court Chief Justice Roy Moore, holding only a tenuous lead over his Democrat opponent, ex-US Attorney Doug Jones. The survey results, which other pollsters will probably soon confirm, should lead to the Democratic leadership launching a major offensive campaign here with the long shot goal of stealing the Republican stronghold seat. They have the resources but are hamstrung in this cycle because few offensive Senate opportunities exist; hence, they must make a serious play for this seat that would not normally be in play. 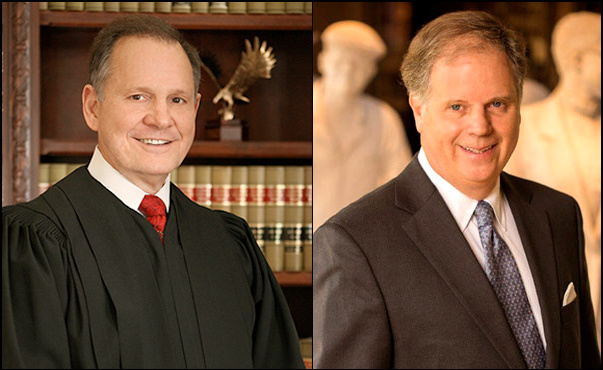 The Opinion Savvy poll (Sept. 27-28; 590 registered Alabama voters; 514 “definite” Dec. 12 special general election voters; 76 “considering” whether they will vote) finds Judge Moore leading Jones, 50-45 percent. Among the definite voters, Moore’s margin expands slightly to 51-44 percent. Within the lesser-motivated voting group, the Republican’s edge slides to just one point, 46-45 percent. As we saw during the Republican run-off, a huge split – with diametrically opposite totals – exists between self-described evangelicals and non-evangelicals. Considering that the Census Bureau classifies 49 percent of the entire state population as evangelical, and 55.6 percent of this polling universe, this demographic segment was obviously a crucial block in determining the outcome of the Republican run-off and will have an equally large say in the upcoming special general. Aug. 23, 2017 — JMC Analytics and Polling, one of the pollsters for the special Alabama Senate Republican primary, is first to release run-off numbers. 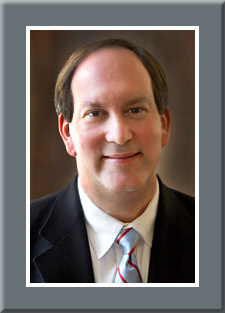 In their post-primary survey (Aug. 17-19; 515 completed interviews of Republican likely run-off voters), JMC finds appointed Sen. Luther Strange to be in deep political trouble, but some of the numbers may be slightly exaggerated. According to the results, former State Supreme Court Chief Justice Roy Moore leads Sen. Strange by a substantial 51-32 percent count, remembering that the primary results four days before were 39-33 percent in the challenger’s favor. This clearly suggests that supporters of the third-place finisher, Rep. Mo Brooks (R-Huntsville), are flocking to Judge Moore in droves. Geographically, the respondent sample is divided into five segments, with the Huntsville sector coming very close to the confines of Rep. Brooks’ northern Alabama 5th Congressional District. According to this grouping, Judge Moore receives a commanding 52-29 percent support factor in this region thus explaining the large statewide polling swing to Moore when compared to the primary results. Judge Moore also does well in the Birmingham (49-36 percent), Montgomery (58-22 percent), and Dothan (69-19 percent) sectors. He carries Mobile by just a two-point spread, however, 42-40 percent. June 2, 2017 — There are always seemingly conflicting reports about the actual number of people who register to vote and the corresponding number who are even eligible to participate, but we are now closer to having more definitive information courtesy of the US government. The Census Bureau recently released its biennial national report on voter registration, which provides us some definitive answers to the aforementioned observations. According to their report, the 2016 presidential total vote, rounded to 137,537,000 though the actual recorded total registers 136,792,535 ballots cast, set an all-time participation record exceeding the 131,426,292 total tallied from the previous national high (2008; Obama vs. McCain presidential election). According to the Census Bureau report, 71.2 percent of citizens over the age of 18 are registered to vote. The Pew Charitable Trusts Research & Analysis department, which dissected the government’s findings, sees this number as a slight increase over the 70.3 percent total registration figure found soon after the 2012 presidential contest.